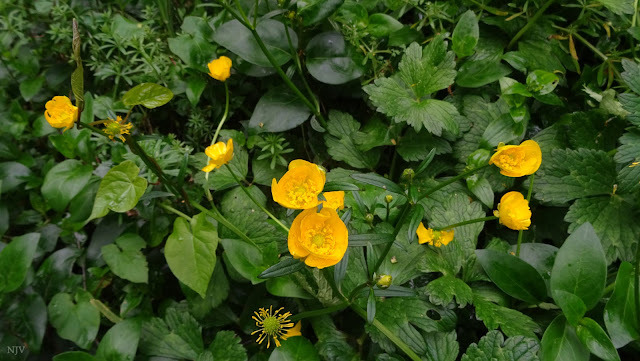 Ranunculus repens, the creeping buttercup, is a flowering plant in the buttercup family Ranunculaceae, native to Europe, Asia and northwestern Africa. It is also called creeping crowfoot and (along with restharrow) sitfast. and also part of the Weekend Green meme. So bright and sunny in my grey evening here, thanks for joining. The other plants are familiar for me too - the one right down, is it a vinca minor?